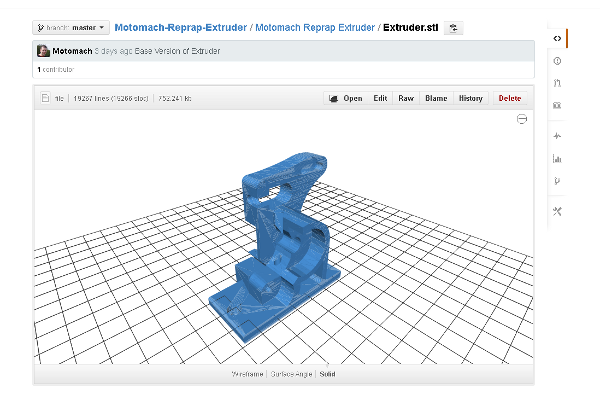 The Motomach reprap extruder is now opensource. As promised in my last blog post, Reprap Extruder & 3D Printer Update, I have made the stl files for my new extruder available on Github. Github, for those who are not familiar, is a free online repository for opensource project files that use the Git revision control system. Although initially designed for software files, the site is beginning to gain popularity with opensource hardware projects. The addition of a 3D model viewer to the site earlier this year, allowing stl files to be previewed online before download, has added further usefulness. 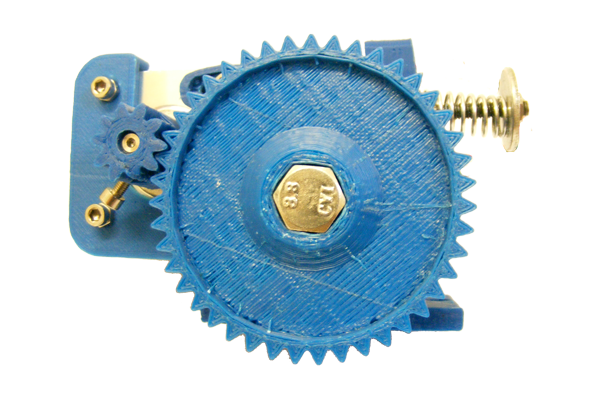 The extruder files can be found here. I’ve had a quiet one, this week on the printer, with only a couple of issues. I was working on some web design for my website – I’m not a web designer but needs must – which kept me busy for much of the week. Although I did manage to print a couple of pieces and a new extruder body. Filament changeover still a little fiddly. I have been fighting an ongoing battle with warping for as long as I’ve been 3D printing, such is the price of printing in abs. In recent weeks, however, the amount of warping I was getting was back to the level of the dark days of my first forays into 3D printing. Turns out it was the masking tape and glue stick I use on my aluminium print bed. I had run out of both and bought new replacements, unfortunately not all cheap masking tape is created equal and a Pritt glue stick is a poor substitute for an Uhu glue stick. I have found a better masking tape but a source for Uhu glue sticks is eluding me. The warping is greatly reduced but could be improved further with some Uhu or suitable alternative glue – I’m open to suggestions. Something else I noticed was causing warping on prints with bridges was the cooling fan. Each layer with a bridge induced curling in the whole print, but until I design a duct for the cooling fan, I’ll have to live with it for now. Gaps between perimeters is something that’s been bugging me on and off for quite a while but only seems to happen on certain prints. I was trying to print a whistle and kept getting gaps between the two outer perimeters, yet infill was fine. I played around with speed, acceleration and other settings in the slicing software, all to no avail after several reprints. I then remembered that the jerk speed and acceleration settings in the firmware were much higher for the axes than they were for the extruder. I reduced the axes jerk and increased the extruder jerk and acceleration in the firmware. Once the changes were uploaded I tried printing the whistle again and hey presto, the perimeters were now bonded together all around the part as they were supposed to. Cue fist pump moment 😉 . The new extruder design has made changing over filament a damn sight more convenient, but it has still involved a bit of wiggling to get the filament past the hobbed bolt into the bowden tube. On investigation, the original extruder body design had a filament guide hole that was not directly in line with the point of contact between the hobbed bolt and the idler bearing. This was making it hard to enter the filament into the boden tube. This also probably caused a fair amount of friction during extrusion, as the filament was forced against the side of the hole, impairing extruder performance. After some quick calculations and some work in Sketchup to modify the extruder body, I printed a new extruder body. This is now on the machine and has made filament changeover a lot easier and extrusion a bit smoother. Jamming is still happening on filament changeover and as I had eliminated the extruder as a cause, I reckoned it was either the hot end or the bowden tube causing the problem. On investigation, it turns out it was not really either but the fact that the filament is too tightly wound onto its reel, causing it to twist and bend within the bowden tube and then snag on a tiny gap between the bowden end and the arcol hot end. I am planning to build a filament straightener to go before the extruder to reduce or remove this issue, but until I do I’ll just have to live with it. 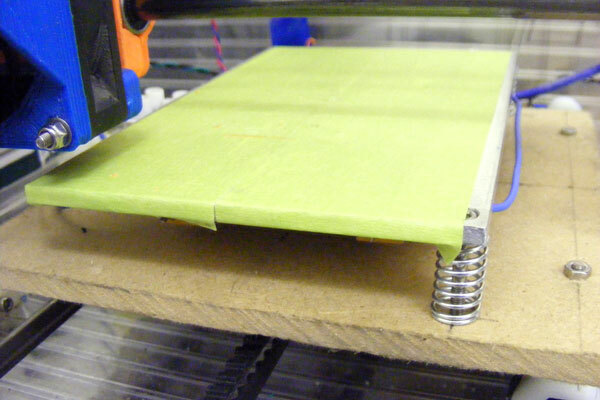 Heated Bed and maintaining adhesion to it. Further improvements to the Extruder. So, it looks like I have plenty to be going on with 😉 . Please comment on this post as your insights or questions are appreciated. 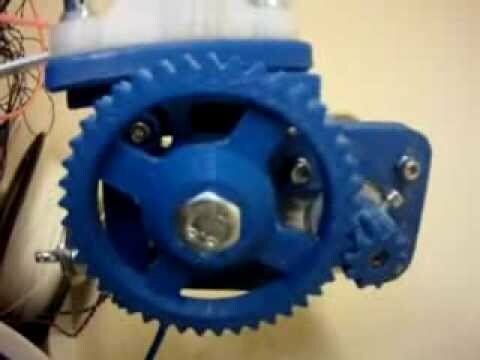 This entry was posted on Thursday, October 17th, 2013 at 14:07 and is filed under 3D Printing. You can follow any responses to this entry through the RSS 2.0 feed. You can leave a response, or trackback from your own site.